A pretty little tin bought on holiday last week in Lyme Regis. 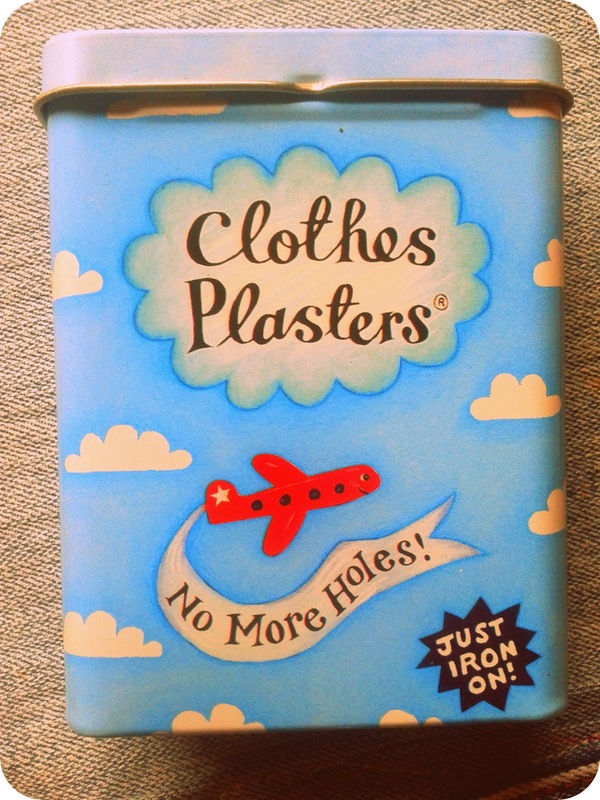 Inside it are ten 'clothes plasters' or iron-on applications. 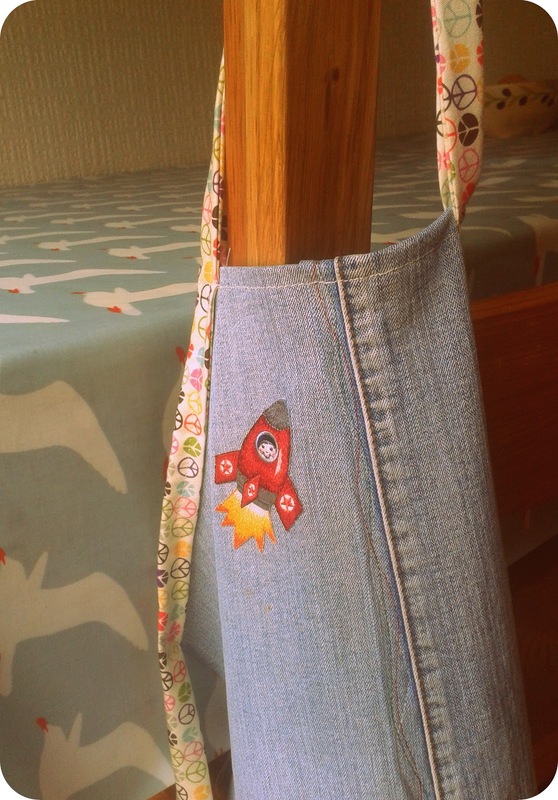 This is the boy's one; it has a rocket, tractor, dinosaur, robot, shark, plane and other fun boy designs. Perfect to finish off my little man projects. So this week I made an apron for O. At two and four months he loves stirring cookie dough and very much needs a 'boy apron'. I made him one out of my old, much worn pair of pale blue jeans. Just one of the legs was enough fabric to make it. I let O choose which 'plaster' he wanted on it. He was adamant it had to be the red rocket. Good choice. 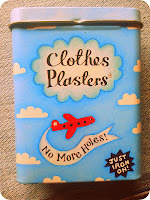 I'm always a bit weary of how well these iron-ons will stick to the fabric, but these are great! Anyway, the little apron is all finished. 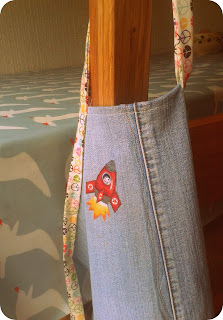 It now hangs over one of the chairs in the kitchen, very much rejected by a toddler who's refusing to wear it, hmm. Check out the other little tins with iron-ons designed by Jennie. Owen's quilt / lapjesdeken ~ Finished !